An adjacent lot converted into a temporary shelter for the homeless. While working for the Resource Center, a non-profit recycling organization, Dan Peterman converted an adjacent lot into a temporary shelter for the homeless. 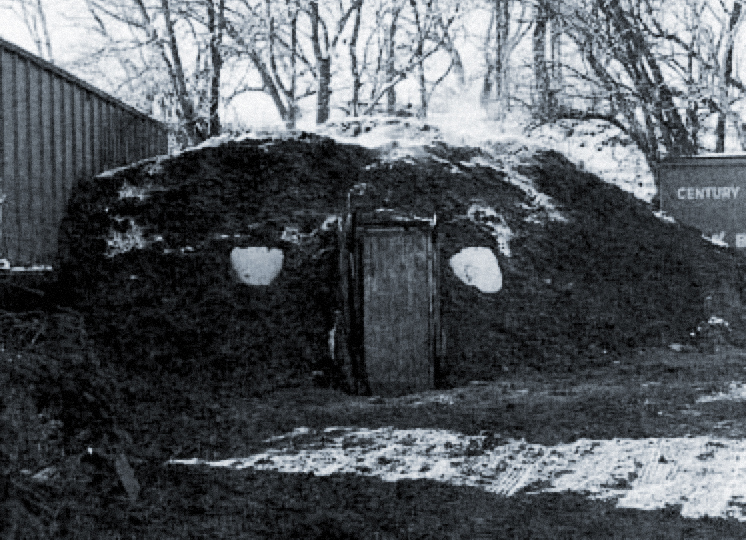 Peterman created Chicago Compost Shelter with a Volkswagen van body, burying it in compost to retain heat. 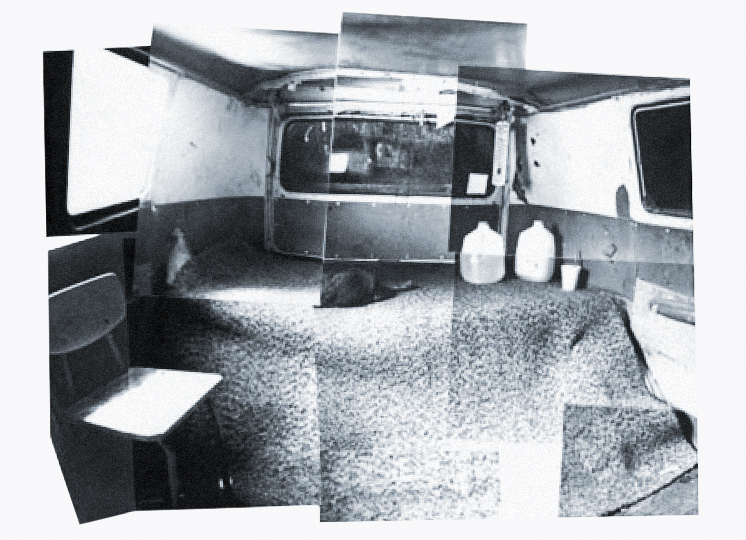 The van’s seats were removed, making the space large enough for a bed and some furniture. The compost used for the shelter was collected as part of a project to recycle organic waste in Chicago by the Resource Center. The compost consisted of a mixture of leaves, grass, clippings, and police horse manure.